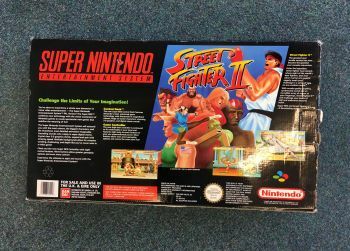 Street Fighter SNES console. 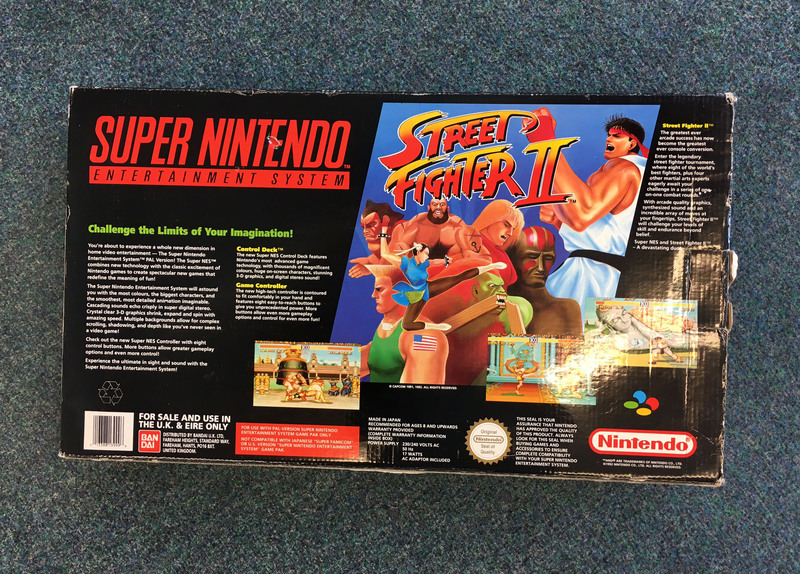 Complete with 2 controllers, Street Fighter II and instructions. 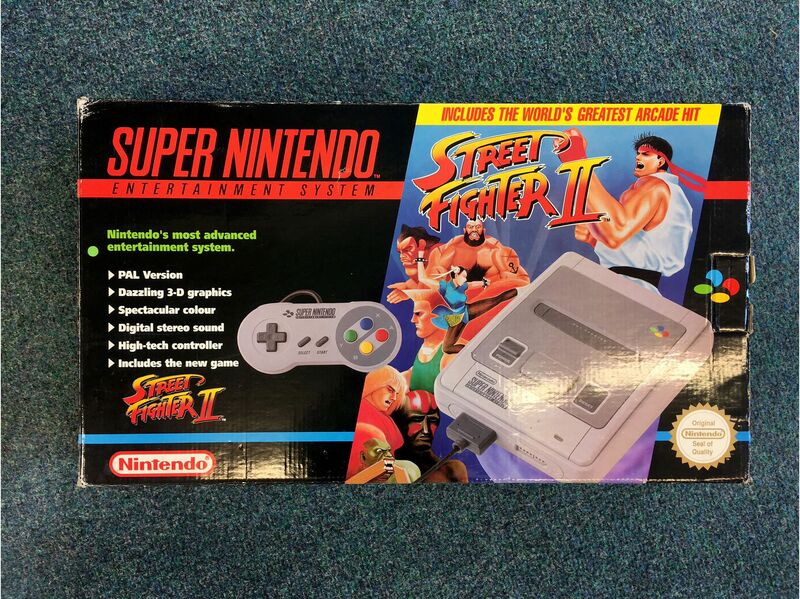 The box is in ok condition, no colour fading but the edges are slightly scuffed. 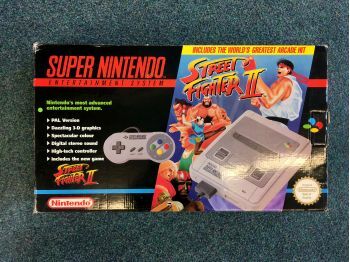 The polystyrene inside the box also has some writing on, but not in the worst condition. Please email us at retrogamingworldinfo@gmail.com if you would like to see more photos before purchasing.